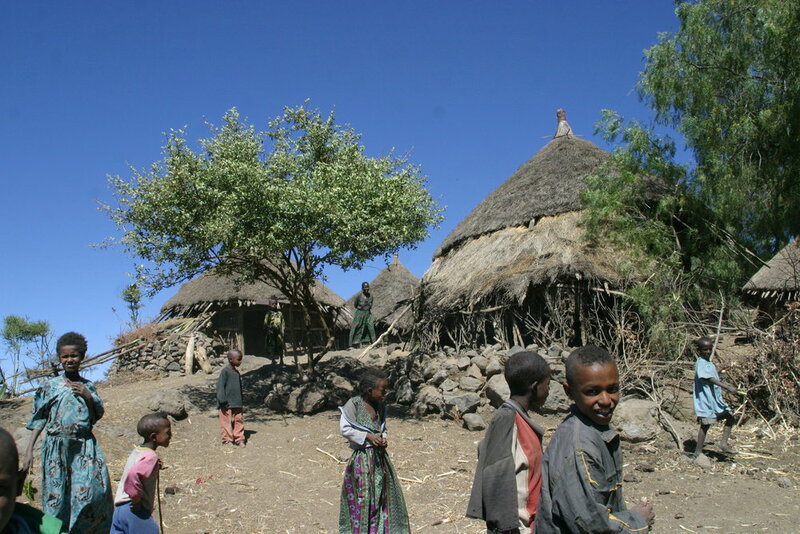 Ethiopia is culturally one of the richest countries in Africa and home to some remarkable architectural gems. A journey on the Historic Route provides a glimpse of life from the past that is still relevant. It is a country where religion plays a prominent role and the celebration of holy days is a way of life. 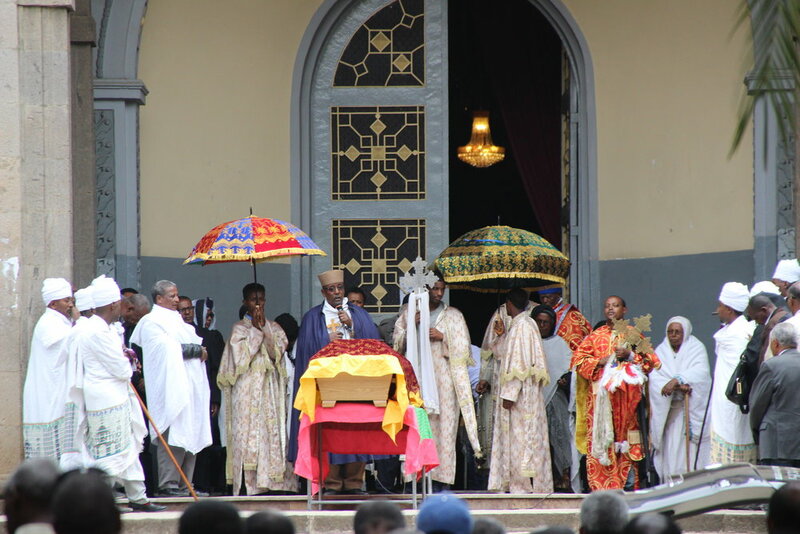 The Virgin Mary is one of the most venerated of all religious figures in Ethiopia. 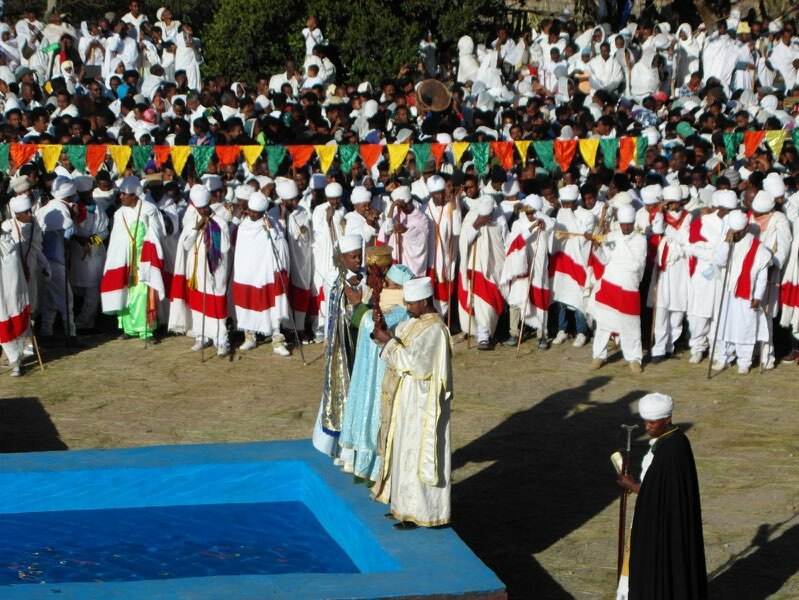 The Feast of Hidar Tsion is associated with the presence of the Ark of the Covenant in Axum and the belief that the Ark itself is a symbol of her womb. 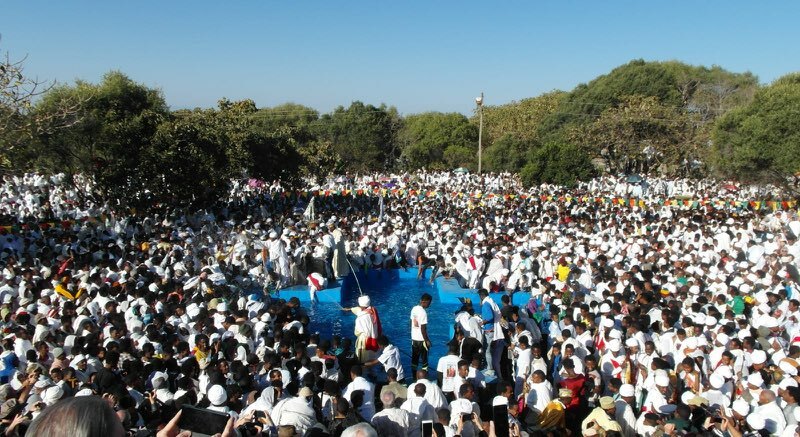 This festival is attended by tens of thousands of people from all over Ethiopia, making it one of the most joyous annual pilgrimages in Axum, the "sacred city of the Ethiopians." 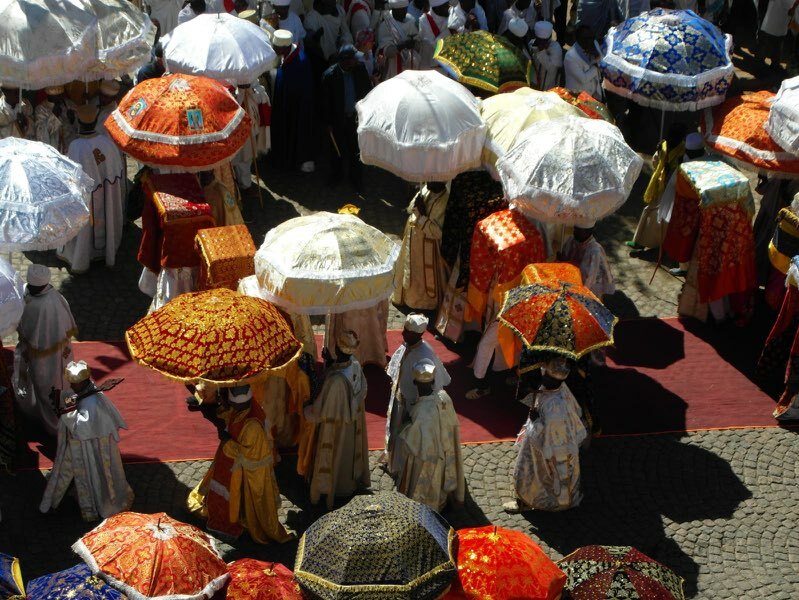 You will be an observer at this remarkable event marked by processions of chanting priests and parishioners dressed in colorful robes with the ubiquitous umbrellas. 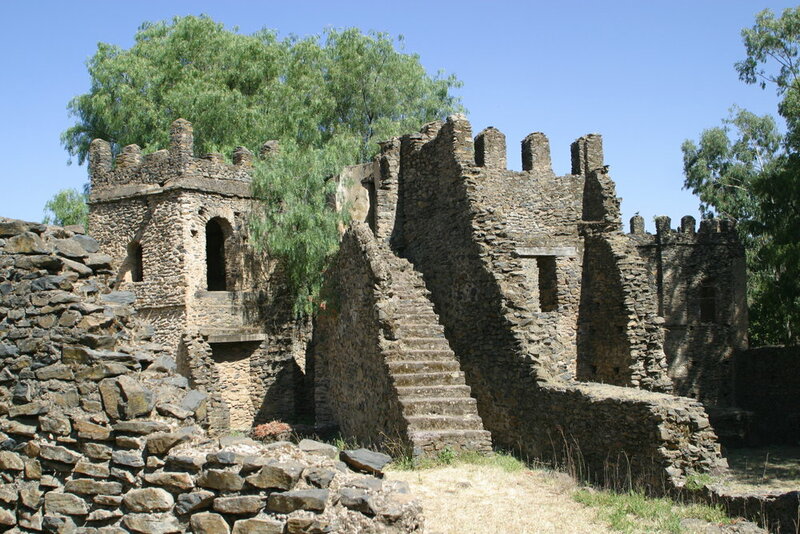 Immerse yourself visiting 3 UNESCO World Heritage sites: Axum, Gondar, and Lalibela. Airline taxes and security charges (Currently estimated at $480.00). Visa for Ethiopia (Currently obtainable online). Air from/to your home city to Dulles or Newark. Difference in inter-Ethiopian airfare in case of not using Ethiopian airlines from USA into/out of Addis. Items of personal nature: beverages, laundry, phone calls, email, souvenirs, camera fees at sites, etc. 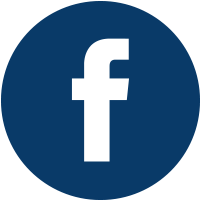 Dayroom or hotel overnights if necessary due to airline schedule changes. 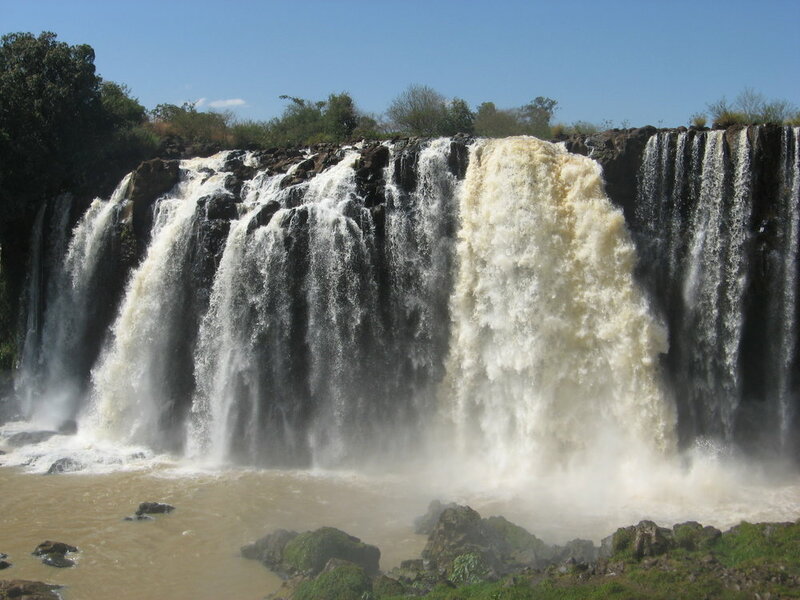 Roundtrip International air from Newark, NJ or Dulles, VA to Addis Ababa on Ethiopian Airlines. All internal flights within Ethiopia. All transfers and tours with A/C bus and vehicles. Accommodation on full board basis (B: breakfast, L: lunch and D: dinner) in best available hotels/lodges out of Addis. All entrance fees to parks, sites, churches and museums as per the program as well as boat trip on Lake Tana..
Professional English speaking guide throughout. Bottled water on the bus on touring days. Gratuities to guide, drivers, hotels’ staff and porters. 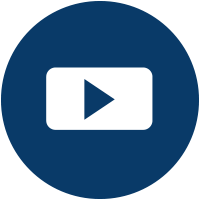 III Challenging – Parts of the trip are physically challenging, involving hiking on rough terrain or in sand or at high altitudes. There may be very long drives on rough roads; weather conditions with high heat or humidity, presence of insects. You may have simple picnic lunches, primitive bathroom facilities along the road and remoteness from modern towns or cities. This is a poor country and the tourism infrastructure is still lacking in many areas. This trip requires participants to be in good health. We designed the itinerary to be as comfortable as possible. Elevations could constitute problems for people with breathing difficulties (some areas are at 7000 ft.) and rough, dusty roads could also affect travelers. Finally, you should be aware that some of the accommodations are considered Spartan and simple (though clean and suitable for our kind of adventure), they are the best available in some of the visited towns, Some of the drives are very long on gravel and dirt roads, so patience, a team spirit, a sense of adventure and flexibility are all needed traits to enjoy this tour. Also at festival times, hotels can occasionally oversell and force us to make last minute changes and also Ethiopian Airways sometimes makes schedule changes or cancels service on some flights or oversells the routes we use and we thus need to alter the program accordingly if and when it happens and we expect participants to be accepting and patient. 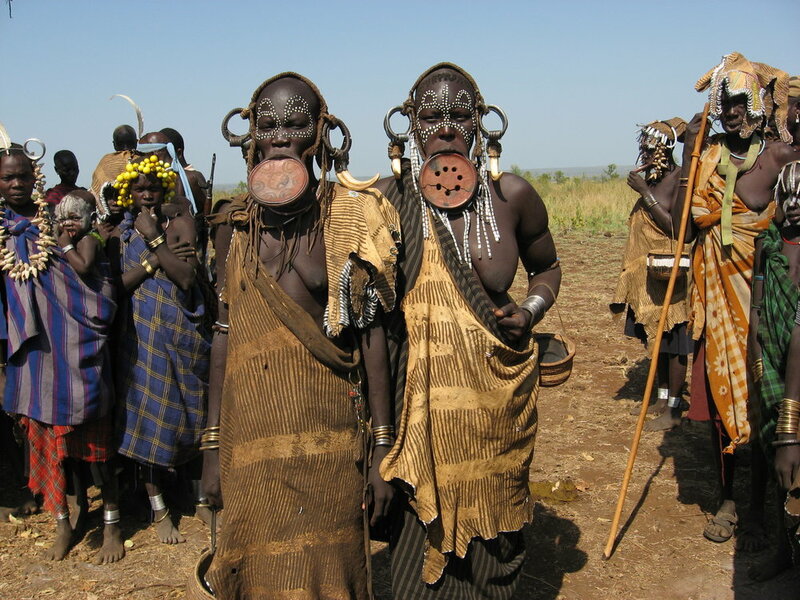 Travelers doing optional Omo extension will drive to Lake Langno and transfer to the lake side Sabana Resort to rest and continiue Omo adventure.